To be honest, most years around this time, I’m bummed I won’t be at the Toronto International Film Festival (or Fantastic Fest for that matter). Money, time, day job, blah, blah, blah. 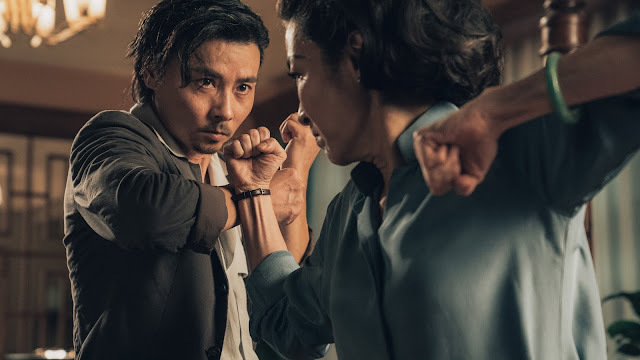 While any number of future awards contenders usually show up at TIFF, it also skews heavily towards the genres and types of grim fare I favor. 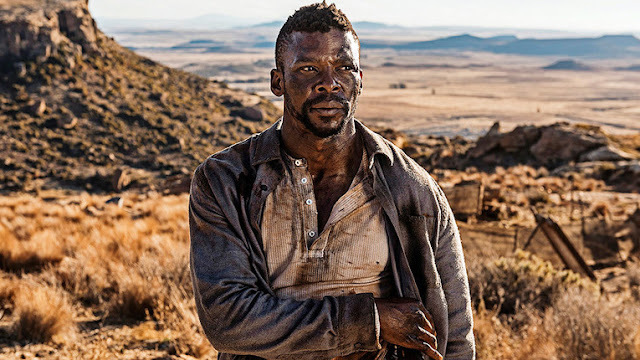 And this year, holy crap, I really wish I was there to see Five Fingers for Marseilles, a spare, gritty, lovely modern South African western. Check out the trailer below and tell me you’re not into this. From those first sparse, raw, wind-swept landscapes to, “My mother was struck by lightning on the night I was born,” I’m all in. Five Fingers for Marseilles looks gorgeous and dark and just what I want out of a movie of this sort. Lots of films attempt to ape western tropes in modern trappings, only to fail. But with the desolate setting, the frontier-ish landscapes, and even that score, director Michael Matthews (crazy upcoming dark fantasy short Apocalypse Now Now) and writer/producer Sean Drummond’s film feels like a western tale transported to the present day. Twenty years ago, the young ‘Five Fingers’ fought for the rural town of Marseilles, against brutal police oppression. Now, after fleeing in disgrace, Tau returns, seeking peace. Finding the town under new threat, he must reluctantly fight to free it. Will the Five Fingers stand again? ‘Five Fingers for Marseilles’ fuses western influences, from classic to spaghetti and revisionist eras, into a contemporary South African drama played in local tongue by four generations of acclaimed South African stars. The great westerns always contained socio-political threads, and Five Fingers’ loose allegory on today’s South Africa is edge-of-the-seat, and starkly human. So there’s revenge, a political angle, mid-street showdowns, and a damaged man returning to his home after years, now a stranger. Gah, I love it. I’m so, so on board with every last bit of this. Five Fingers for Marseilles doesn’t have a release date, but hopefully that will change after it plays at TIFF next month. I would like to have this in front of my eyeballs as soon as humanly possible. If anyone out there could work on that for me, I’d appreciate it.